A "retired" Burst Linker responsible of the wind corner of the four elements. 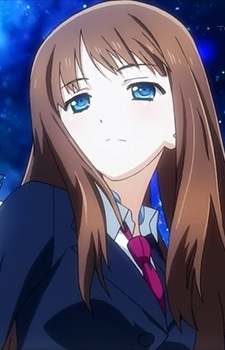 She's Ash Roller "parent," the only person in Accel World he shows respect towards. Before Silver Crow existed she was known as 'The person closest to the sky in accelerated world' gaining the nicknames 'Astro,' 'ICBM' and 'Icarus'; she became obsessed with the desire of flying, because of that she was abandoned by most of her friends and her "parent"; she gets the help of her friend and master Black Lotus to reach level 8. Having spent several level up bonus trying to obtain the ability to fly she eventually asks Black Lotus to cut off her avatar's legs to reduce her avatar's weight and increase her mind power. She is introduced to Silver Crow by Ash Roller in the Unlimited Neutral Field to help him control his mind power and use the Incarnate System to fly without his wings. As noted by Haruyuki, she has artificial legs in the real world. Fūko is shown to be very polite to others even to ones that she has just met. She is willing to help other people even if she gains nothing in return. Her eyes always depict a hidden sadness, as if always subconsciously regretting her separation from Kuroyukihime, Black Lotus. Fūko Kurasaki revealed to Haru that she and Kuroyukihime were close friends, but eventually grew apart. She regrets how she and Kuroyukihime used to be so close, but her obsession to fly caused her to lose what was important to her and eventually led to her leaving Kuroyukihime. She is also the parent of Ash Roller. Before she had her legs cut off, Sky Raker had acquired many titles that indicate she was a powerful Linker. Her primary ability was a power that allowed her to jump extremely high, making her the one "closest to the skies" before Haruyuki gained his wings. When Raker started to play Brain Burst, She could only jump up to 100 meters. Eventually Sky Raker upgraded her jumping ability to the point where she could jump up to 350 meters, but unlike Haruyuki, she never developed true flight despite her profound understanding of the «Incarnate System».